All caught up with the latest happenings in Westeros? Now two episodes down, the tension is building and we can't get enough of it. Where episode 1 drew you back into the world of Game of Thrones, episode two dropped us into tension, providing some much needed build-up to the much hyped battle of episode 3. 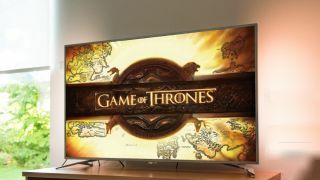 You can find a full guide to how to watch Game of Thrones online below, with both catch up options and how to watch episode 3 live. For those who still haven’t watched the first two episodes, you've made it this far, maybe now is the time to catch them. You can find all of the catch up options below. But for the die-hard fans out there who want to plan a week ahead, we’re here to tell you where to go to watch episode three online. Episodes air every Sunday which means tuning in on Sunday, April 28. The first two episodes are now available for catch up in the US. The rest of the episodes will be airing each Sunday at 9pm ET, 6pm PT, giving US fans one of the better streaming times out there. The good news is that the first two episodes are now available for catch-up on both NowTV and Sky Go. That means you can make sure you're all caught up, just in time for episode three. Episode three will be airing in the UK on Monday 29 at 2am. And if you haven't yet been able to watch the first two episodes, they are now available to watch on catch-up with Crave. If you're trying to catch the first two episodes now they've aired (or even the whole show) in Australia, there are only two options for you, and that's either signing up to Foxtel's cable service or the company's streaming service, Foxtel Now. Episode 3 will be airing at 11am on Monday April 29, a slightly more reasonable time compared to the UK's 2am! For those in New Zealand there really only is one option for season 8 and that's SoHo. The Sky premium entertainment channel will be the place to find season 8, airing at 1pm and then repeating at 8.30pm each Monday. The first two episodes are now available for catch up on the site. Episode 2 got you craving some more action? Watch the trailer above to see what to expect this week. With all of the Starks, dragons and White Walkers, we feel like season 8 is going to be more than worth the wait.